From time to time I mention the work of George Lakoff. He is primarily a cognitive linguist, but applies linguistics to a broad range of domains. Lakoff is particularly known for his work on metaphors. His book, co-written with Mark Johnson, Metaphors We Live By is on my list of non-fiction books everyone should read. Lakoff, like another well known linguist, Noam Chomsky, has ventured into the world of politics. He is perhaps less successful in this, though also less trenchant and less controversial. One of his important contributions is to analyse the linguistic frameworks that politicians of the left and right (or liberals and conservatives) use in their rhetoric. In this essay I want to outline the basic framework of morality that Lakoff presents because I think it offers general insights into morality, but also specific insights into Buddhist morality. Part of my project with respect to Buddhist morality is to examine the claim that Buddhist morality is substantially different from other forms of morality. I've been attempting to undermine this idea in a desultory way for a few years now. In particular I have sought to show that karma is distinct as an agent of morality only in that it is not personified. I've also tried to show that post-mortem judgement and reward/punishment is a feature common to various forms of morality including both Christian and Buddhist. The function of karma is just the same as moral gods, it's only the user-interface that is different. Lakoff's moral framework shows this in greater relief, but it also gives a sound basis for thinking about morality. Embodied consciousness is fast becoming the consensus view of consciousness. It argues from a variety of viewpoints that what we call consciousness is an emergent phenomenon of the maintenance of bodily states in the brain through layered models that are used primarily to regulate and optimise both internal states and external behaviour. Lakoff and Johnson have argued for this view from language and philosophy, Thomas Metzinger, Antonio Damasio and many others from neuro-scientific evidence. This view is radically non-dual in the sense that the mind/body duality is completely broken down - the mind is embodied, embodiment is a necessary condition for having a mind (though we must keep in mind that there are powerful reasons that naive realists do believe in disembodied consciousness - such as the classic out-of-body experience). 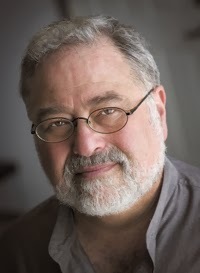 Lakoff takes experience as the source domain for metaphor and abstraction. So whereas philosophers will often discuss causality in abstract terms, Lakoff looks to the experience of an infant gaining control of their limbs and becoming able to move things about according to their conscious will. In this view causation as an abstract metaphysical notion is rooted in the domain of willed actions. Those interested in Kantian accounts of causality may find this interesting since it may well account for a priori structuring of knowledge as well (I don't know this branch of Lakoff's work well enough to comment: see Philosophy in the Flesh). "an unconscious, automatic mechanism for using inference patterns and language from a source domain to think and talk about another domain." In the former the source domain is wealth. Wealth is something which can be gained or lost. Wealth is also involved in transactions - I can give something of value to enrich you, or take something from you to impoverish you. I can also give something of negative value which impoverishes you. Clearly wealth is itself a metaphorical concept. If I can give and take it, clutch it and hoard it, make it, lose it etc., then we are employing a more fundamental metaphor that wealth is an object (that can manipulated with (metaphoric) hands). Other metaphors help to structure the concept. For Lakoff, our abstract thought is structured by a series of interdependent metaphors that are rooted in our experience of being embodied and our physical interactions with the world. This ability to think of one domain in terms of another (i.e. to use metaphors) makes our thinking very flexible and adaptable. In this view metaphors of wealth and wealth transactions can be applied to the domain of well-being (so that by association we may treat well-being as a object as well). Thus by making noise I can give you a headache and undermine your well-being. By giving love I can make you happy, though this may require an exchange of tokens. Many events can rob us of our well-being, none more so that any kind of physical assault. With respect to wealth one must acquire a certain level of wealth in order to have well-being. We're using wealth in a very general sense here, not necessarily as an economist might define it. And we are not placing restrictions on the kinds or number of metaphors that relate to well-being. The selected metaphors are only one dimension chosen because they highlight a facet of morality. Morality then, is, at least in part, the book-keeping of such transactions; or what Lakoff calls "moral arithmetic". The ancient Egyptians conceptualised judgement in the afterlife as a weighing up of good and bad deeds. This notion of a final reckoning (i.e. tallying or counting up) is widespread. The tally maybe kept by a god (such as Anubis, Ahura Mazda, Mitra, or Jehovah) or in the case of Buddhism it may be a natural law (karma, dharmatā), but fate is seen as hanging in the balance of actions with a moral dimension (i.e. good and bad). In Indian terms if the accumulation of merit (puṇya) outweighs the accumulation of evil (pāpa) then one goes to a good destination (sugati) and if not then one goes to a bad destination (durgati). The very word for friend in Sanskrit (mitra) originally meant "contract". A contract sets out the expectations of two parties in a transaction, whether substantial or abstract. If the consequences of actions are minimal we say someone "got off lightly"; or if caught out, a judge may "come down hard". Buddhists use this bookkeeping/balance metaphor in terms like 'weighty karma'. The moral accounting scheme operates on several main principles. 1. Do no harm. Moral (in the positive sense of good) action is (willingly) giving something of positive value or (willingly) taking something of negative value; immoral action is giving something of negative value or taking something of positive value, in both cases against the will of the recipient. 2. Debts must be paid. Failure to pay debts is immoral. Thus if a criminal is deprived of liberty for a period, they are said to have "paid their debt to society". We always want to repay kindness. Revenge is payback. Harm is a reduction in the wellbeing of the recipient. Either something of negative value is given (e.g. a disease; a blow, an insult); or something of positive value is taken (e.g. prestige; property). In the case where harm is done a dilemma is created in the application of the principles of reciprocation. On one hand we might insist that the first principle dominates. So if I harm you settlement of the debt, then on balance I have not acted morally because causing harm is not moral. On the other hand we might insist that debts must be paid no matter what. Thus if you harm me, then it is immoral not to harm you back in some way to settle the debt, even though causing harm is immoral. Lakoff calls the first position the Morality of Absolute Good and the second the Morality of Retribution. With respect to the death penalty, for example, liberals tend to adopt the Morality of Absolute Good (the principle of the debt must be paid cannot justify the immoral action of killing as retribution); while conservatives tend to adopt the Morality of Retribution (the repayment of the debt over-rides the immorality of killing). In Christian terms we obviously also have a contrast between New Testament Morality ("turn the other cheek") and Old Testament Morality ("an eye for an eye"). We see that the same set of metaphors are used, but they are employed in different ways. In my own account of morality the different aspects of the metaphor are given different salience by different people. For liberals it is more salient not to do evil; for conservatives it is more salient to pay off debts. A feature of both Buddhist and Christian morality is the principle of passivity. In Christian terms "Dearly beloved, avenge not yourselves, but rather give place unto wrath: for it is written, Vengeance is mine; I will repay, saith the Lord. (Romans 12.19)". Buddhists texts argue that we should never react to harm. "Anger is never soothed by anger." (Dhammapada 3-6). If we genuinely believe in karma then all actions will be paid out according to their deserts and no further action is required when someone harms us. Indeed the worse the harm the more horrific the consequences for the person doing the harm. Retributive action on our part will only cause more harm, since the principle of paying off debts is taken out of our equation. The Buddhist moral imperative is to focus on our own actions and to purify our motivations so that we ourselves do not cause harm. In a Buddhist world where we do not believe in karma there is a reversion to the moral principles we were raised with, which often tends to be the Morality of Retribution. In fact I think we can say that most Western Buddhism is underpinned more by Christian morality, as echoed in our laws and social rules, than by Buddhist morality. In the retributive model of morality we aim to balance things out: good for good and harm for harm. But it's possible to create balance by offering positive to counteract the negative, that is to make amends or restitution. In my early research on Buddhist morality I showed that making amends is not possible in the early Buddhist ethos (See Did King Ajātasattu Confess To The Buddha?). Since the consequences of any and all actions must be experienced, making amends cannot change the balance retrospectively. Or in other words karma cannot be wiped out, though it can be mitigated by conditioning oneself to bear painful vedanā (through learning to bear small discomforts, one can bear greater discomforts equanimously). Of course this changed and Buddhists soon began to allow for making amends to karma through rituals and purification (which is the subject of a forthcoming article). However even this was abstract and unrelated to making amends to the person harmed by our actions. The sense of Buddhist texts is that Buddhists are expected to live in isolation until they are able to operate skilfully in the world. Buddhist (monastic) morality is focussed on restraint, guarding, controlling and protecting the sense faculties so as not to stir up negative emotions. We often hear about Buddhists 'burning up karma' but this is not a feature of early Buddhism. It is a feature of early Jainism. The Jains practiced painful austerities in order to balance the moral ledger. If pain is the result of bad actions, then by pursuing painful sensations one pays off the debt incurred. This principle was also taken up by Buddhists though they still had an effective injunction against the extremes of asceticism, they invented ritual ways of counteracting bad karma. Altruism is a special case amongst the other forms of moral accounting. Altruistic behaviour seeks to do good without creating a debt, i.e. with no expectation of a return. Cancelling debts in this way, though builds up "moral credit" [Lakoff's term]. In Buddhism we call this moral credit puṇya. Of course we do benefit from altruistic behaviour because everyone benefits. Generosity is often repaid with generosity, even when, or especially when there is no obligation. Lakoff separates out the other side of the altruism coin - cancelling a debt created by harm - calling it "turning the other cheek". But I think that structurally it belongs with altruism. One aspect of morality that Lakoff doesn't mention is the scapegoat, which is a special form of debt cancellation. The scapegoat was an old Jewish custom which we can see as relieving the tension that can be created by the build up of moral debts. Each year a sacrificial goat was consecrated and imbued with all of the moral debt for that year. It was then sent out into the wilderness, that is banished from the tribe, which in that climate meant certain death. It reminded people that they needed each other to survive and that allowing moral debts to build up or remain for long periods of time tended to divide loyalties. At the same time another goat was sacrificed to God to reinforce the moral covenant. Now "scapegoating" has largely negative connotations these days - blaming someone else for our misdeeds. But in essence it involves ritual forgiveness of moral debts. Interestingly the Jews also practiced the cancellation of financial debt every fifty years (known as a jubilee) for just the same reasons. Allowing financial debt to continue building up indefinitely seriously weakens a society. Many economists argue that private sector debt, especially household and non-finance sector debt, was at the root of the global financial crisis initiated by the bursting of the sub-prime mortgage bubble and the collapse of Lehman Brothers Bank in 2008. Forgiving debt, whether financial or moral, is an emotive issue in the West and I don't think we'll see any change away from the gestalt in which paying debts over-rides doing harm, even though great harm continues to be done by the unwise build up of financial debt. However one of my economic inspirations, Ann Pettifor, successfully led a campaign to have billions of dollars worth of debt in Africa to be forgiven in the Jubilee 2000 Campaign. That debt was never going to be repaid anyway. It had been imposed on poor African countries by the IMF and World Bank in an ideologically driven fervour and simply created the conditions for ongoing misery. I'm an advocate of a modern debt jubilee, as proposed by Professor Steve Keen. But perhaps we need to think in terms of moral debt jubilees as well? This, then, is how I see Lakoff's metaphorical approach to morality. I find it an elegant and useful approach because it allows us to get beneath the trappings of morality in various settings and see the mechanisms - i.e. to see the way our thinking is structured by metaphors. In particular it shows that the mechanisms are similar in most cases. While groups might evaluate the salience of the various aspects differently we can see that the same principles apply across a wide spectrum. My case that there is nothing very special about Buddhist ethics is advanced. The distinctive features of Buddhist ethics are on the surface. Beneath the surface we see the same currents moving: i.e. concerns with group membership and group norms; narratives which ensure compliance with norms (especially post-mortem judgement); metaphors such as wellbeing = wealth and moral accounting; and preventing attempts to balance the moral books tearing a society apart by placing the balancing in the hands of an impartial supernatural accountant (e.g. Anubis, Jehovah, Varuṇa, Ahura Mazda). Many societies separate the metaphysical 'judiciary' from 'punishment and corrections', but some combine them, along with legislative and executive branches in what I have called a "swiss-army-knife god". Where rules directly affect the physical survival of individuals or the group they will tend to be the same since humans have fundamentally similar requirements for survival; and where they are concerned with local conditions and etiquette they will tend to be different. Of course Buddhists will say that morality has a higher purpose in Buddhism - it forms the foundation for transcendent knowledge gained via meditation. In Lakoff's terms such knowledge seems to have the main effect of removing a person from the necessity of moral accounting. The adept is characterised as a person who only acts for the good. Attenuating or eliminating self-preoccupation changes the equation - we may act and be acted on without any need to reciprocate (śīlapāramitā and kṣantipāramitā?). If we do not incur moral debts or hold others indebted to us, then the principle of do no harm comes to the fore in all relationships. We see here that behaviour is both the foundation for liberation, but also the most obvious sign by which we perceive someone as liberated. One who is liberated from greed and hatred must perforce operate with a different set of moral metaphors, but seen in terms of the standard metaphors they ought to exemplify morally good behaviour. I haven't gone further into Lakoff account of the political spectrum because it is less relevant to discussions of Buddhist ethics and would have taken too long. But I do recommend reading the essay referred to above, or Lakoff's book Don't Think of an Elephant . Even if it does nothing to change your political sympathies, it is as well to understand the other point of view a little better. For a good summary of left and right values as they manifest in various spheres of life, I recommend the infographic by David McCandless.